FIA WORLD RALLY CHAMPIONSHIP (WRC 2015): RALLY DE ESPAÑA – CITROËN TOTAL ABU DHABI WORLD RALLY TEAM – IMPORTANT POINTS AHEAD OF THE FINAL ROUND! IMPORTANT POINTS AHEAD OF THE FINAL ROUND!. 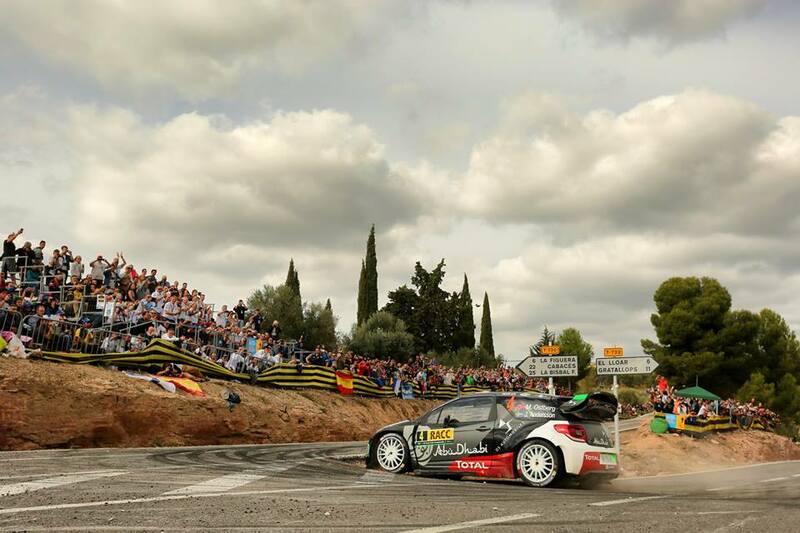 Mads Østberg/Jonas Andersson and Kris Meeke/Paul Nagle ended Rally Catalunya in fourth and fifth positions. 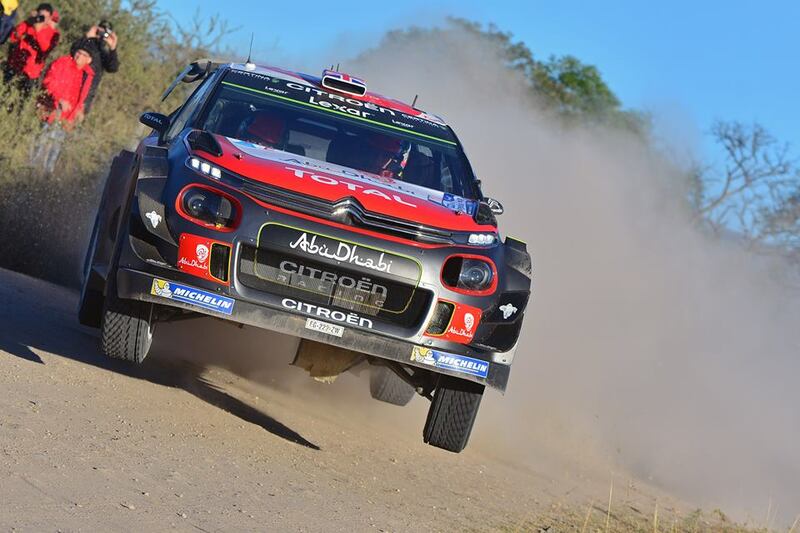 The Citroën Total Abu Dhabi World Rally Team therefore strengthened its hold on second place in the World Championship before the final round of the season. 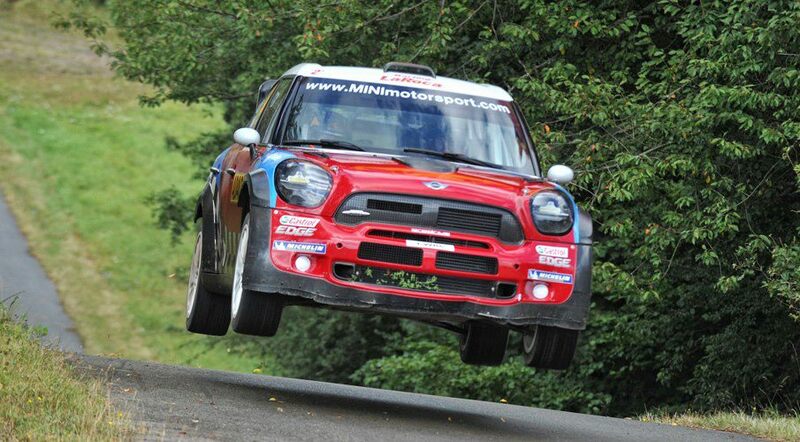 Next up is the final event on the 2015 calendar: Wales Rally GB, which takes place on 12-15 November. At the start of this, the final day of Rally Catalunya, Kris Meeke and Mads Østberg’s aim was to hold onto their positions in the top six of the overall standings. 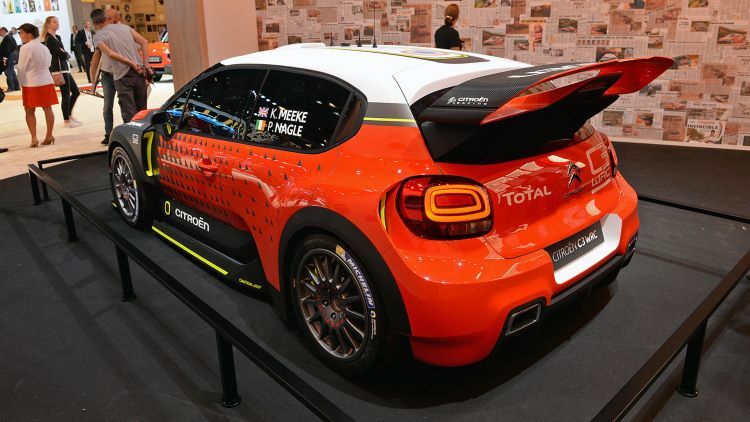 Both Citroën Total Abu Dhabi World Rally Team drivers initially held firm, despite coming under pressure from Thierry Neuville and Hayden Paddon early on in the morning. Kris Meeke then lost a few seconds with a spin on SS19, allowing Mads Østberg to retake fifth place from the Northern Irishman. During this final leg, with no service breaks or tyres changes allowed, good race management was vital. By consistently finishing in the top six in the last four stages, Kris Meeke and Mads Østberg ensured the final standings remained unchanged. The Power Stage saw Kris Meeke score an extra point for the Drivers’ championship by grabbing the third fastest time. 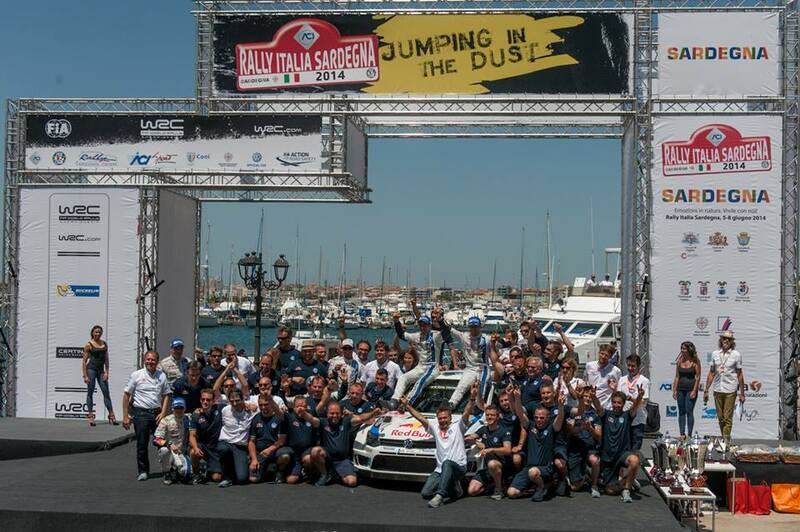 The rally leader Sébastien Ogier’s off meant all of the finishers moved up a place. Mads Østberg therefore finished fourth overall, one place ahead of Kris Meeke. 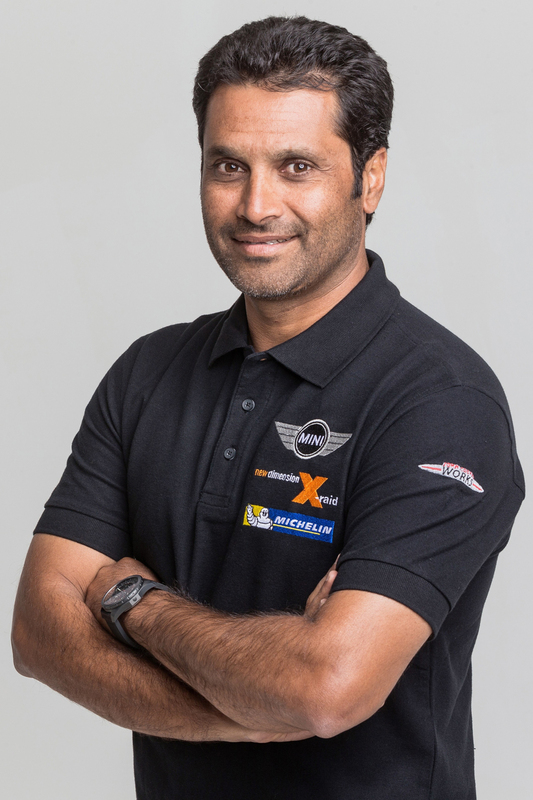 In the third car entered by the Citroën Total Abu Dhabi World Rally Team, Khalid Al Qassimi made it to Salou without any mistakes. He finished in 16th position on his final outing of the year in the DS 3 WRC. Having rejoined this morning under Rally 2 rules in order to get his first experience on tarmac at this year’s Rally Catalunya, Stéphane Lefebvre was able to continue learning at World level with the DS 3 WRC. In their DS 3 R3-MAXs, Quentin Gilbert secured a fifth win in the FIA Junior WRC ahead of Terry Folb and Simone Tempestini. Already certain to end the season as FIA Junior WRC champion*, Quentin Gilbert will now go up against Simone Tempestini for the FIA’s WRC3 title at the forthcoming Wales Rally GB. SS18 – Els Guiamets 1 (6.80km) – Andreas Mikkelsen set the fastest time, finishing ahead of Jari-Matti Latvala and Sébastien Ogier. 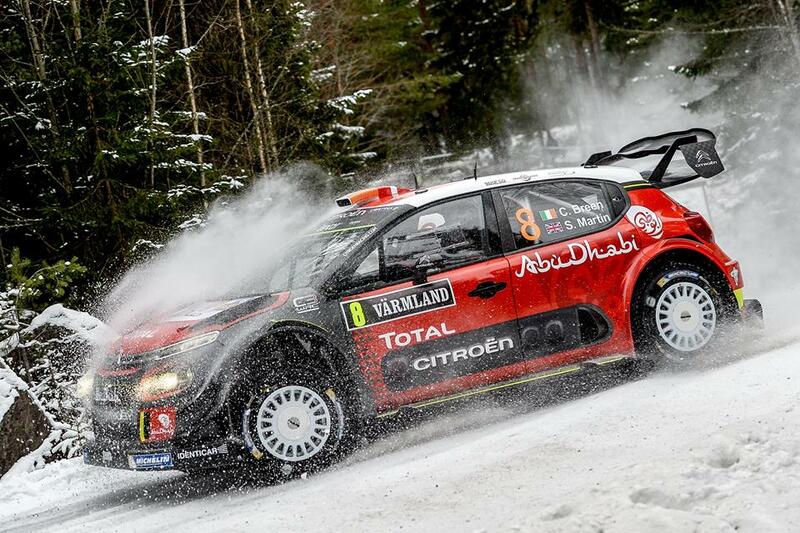 Sixth and seventh fastest times for Kris Meeke and Mads Østberg, whilst Thierry Neuville moved into seventh overall on his own, behind the two Citroën Total Abu Dhabi World Rally Team drivers. 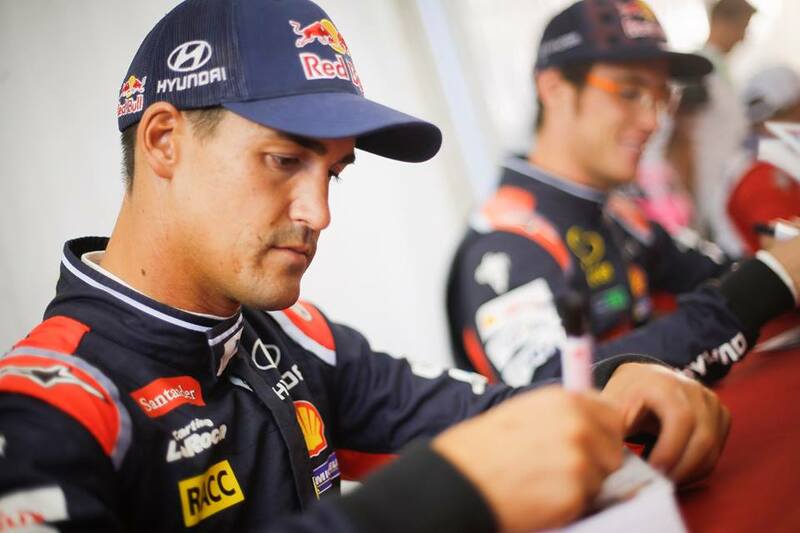 SS19 – Pratdip 1 (19.30km) – Thierry Neuville span, dropping a place in the overall standings. 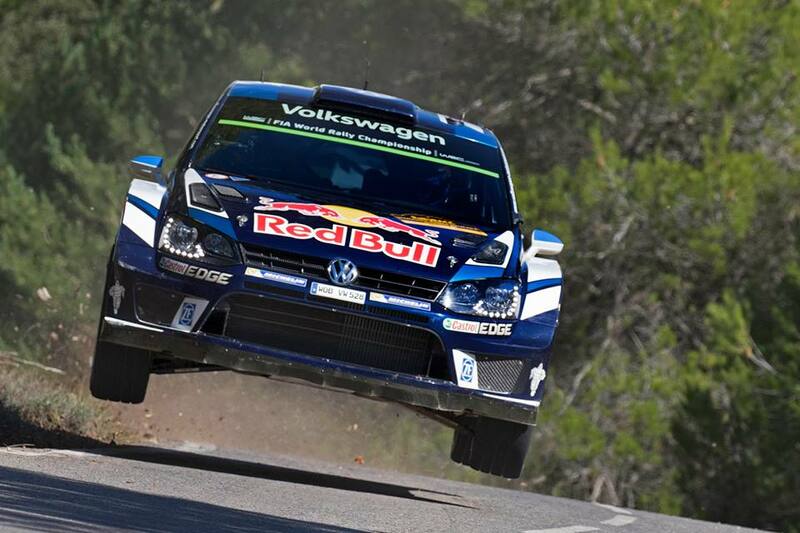 In front, Andreas Mikkelsen secured another stage win. Kris Meeke also had a spin, allowing Mads Østberg the chance to grab fifth place. Khalid Al Qassimi moved up a place into sixteenth overall. SS20 – Duesaigües 1 (10.63km) – Jari-Matti Latvala claimed the stage win as he came under pressure for second place from his team-mate Andreas Mikkelsen. Kris Meeke and Mads Østberg both finished in the top five on this stage to move over two seconds clear of Hayden Paddon. SS21 – Els Guiamets 2 (6.80km) – Jari-Matti Latvala picked up a puncture, dropping 9 seconds and relinquishing second place to Andreas Mikkelsen. 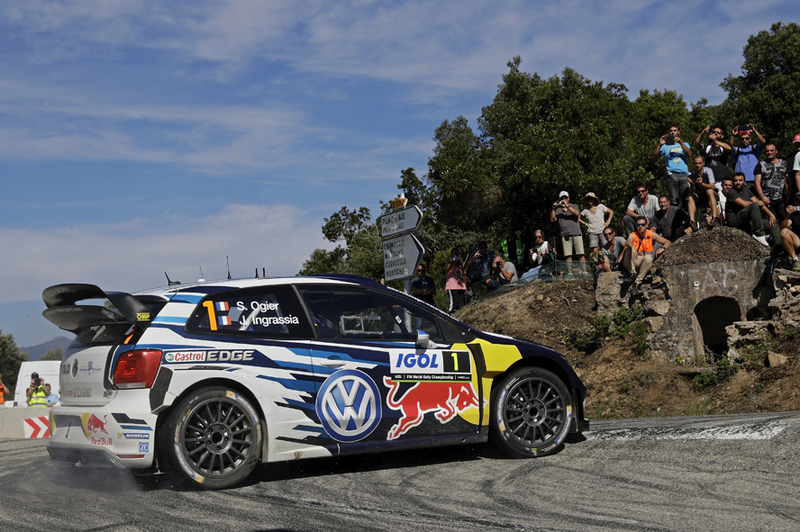 Sébastien Ogier finished second on the stage, ahead of Kris Meeke. SS22 – Pratdip 2 (19.30km) – Jari-Matti Latvala claimed another stage win to move within 1.4 seconds of Andreas Mikkelsen in the overall standings, still over 50 seconds behind the rally leader Sébastien Ogier. Kris Meeke was second to close on fifth-placed Mads Østberg. Thierry Neuville went off the road, losing five minutes in the process. 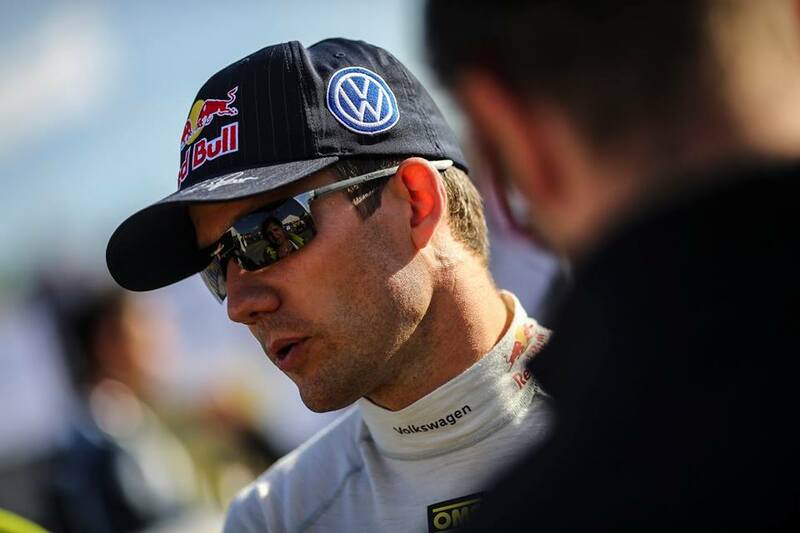 SS23 – Duesaigües 2 (10.63km) – Sébastien Ogier retired within sight of the finish after crashing on the Power Stage. 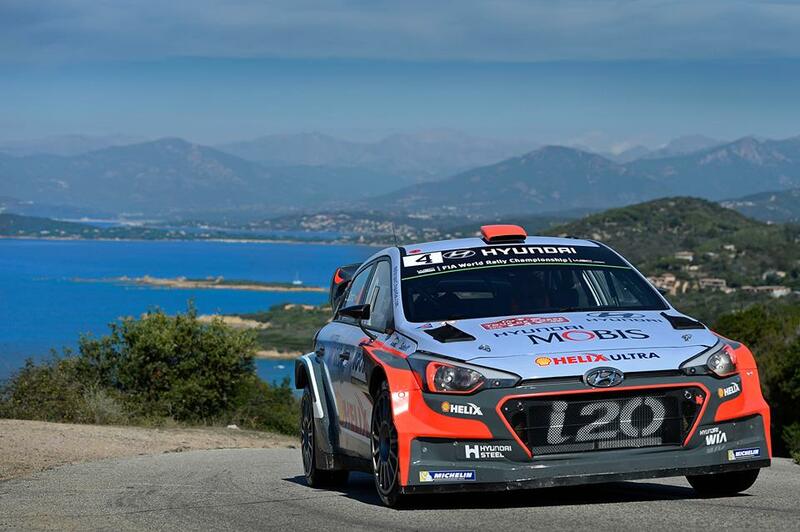 Andreas Mikkelsen won the final stage, ahead of Jari-Matti Latvala and Kris Meeke, to take overall victory, as Jari-Matti Latvala finished as runner-up and Dani Sordo was third. Mads Østberg finished fourth overall whilst Kris Meeke was fifth. 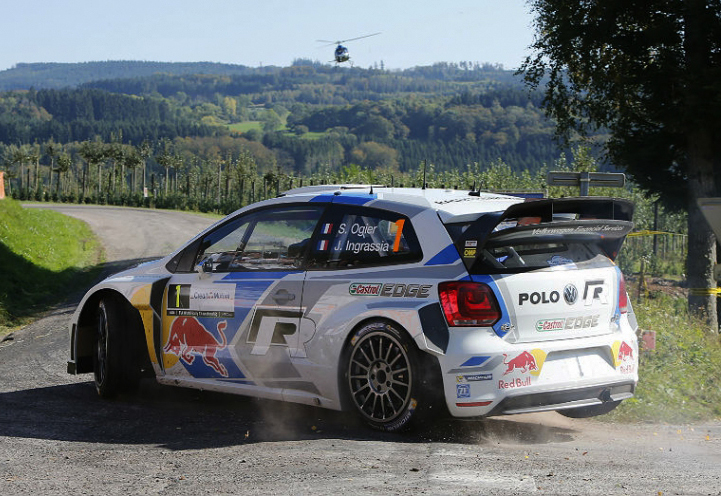 The stage was cancelled following Ogier’s crash. 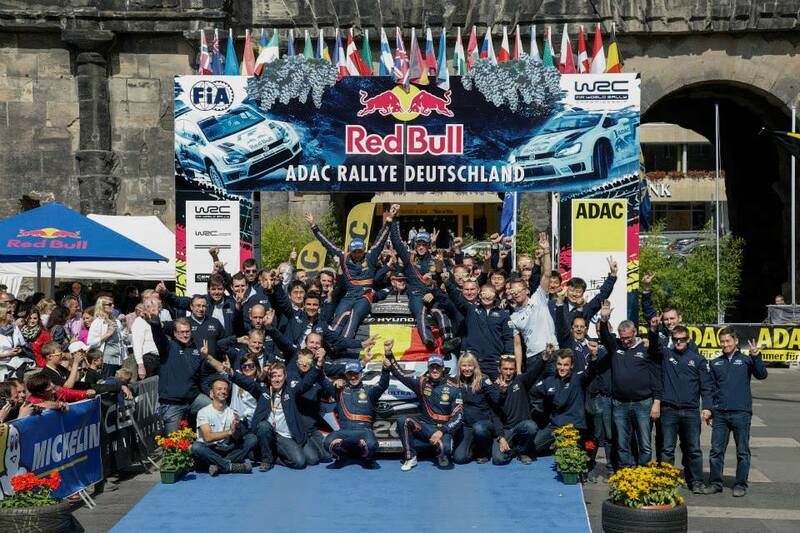 Sébastien Ogier, 7 (including 1 tied)– Jari-Matti Latvala, 6 – Andreas Mikkelsen, 4 – Ott Tanak, 3 (including 1 tied) , Mads Østberg and Robert Kubica, 2 (including 1 tied), Hayden Paddon and Thierry Neuville, 1 tied. * Subject to publication of the official results by the FIA.